LEGAZPI CITY --- Mayon Crisis Manager Francis Tolentino has requested the suspension of the government procurement regulation to fast-track the construction of hundreds of Temporary Learning Spaces (TLS) and sanitary toilets in 58 evacuation centers in Albay. 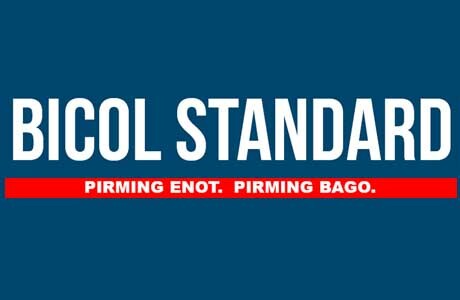 Tolentino, in a meeting on Tuesday with 10 national line agencies in Bicol, said he had consulted President Rodrigo Duterte and Budget chief Benjamin Diokno for the suspension of the government procurement rules in calamity-stricken areas specifically in Albay. He cited a provision where the government suspended the procurement regulation in times of national emergencies. “With the exemption, national agencies can buy commodities or build, repair facilities to be used in disaster relief without submitting to the Government Procurement Policy Board GPPB regulatory requirements,” he said. Tolentino said that disaster responding agencies such as the Departments of Social Welfare, Education, Health, Public Works and Highways, Environment, and the Office of Civil Defense (OCD) have reported target backlogs due to the delay in the release of their Quick Response Fund (QRF). Aside from the problem on the procurement procedures, Tolentino has observed that some bureaucratic red tape at the national government level has seriously affected the speedy implementation of various disaster measures to caution the impact of calamity to displaced families living in shelter camps. When asked for an overall assessment of the performance of various national agencies involved in disaster operation, Tolentino said that some agencies were slow in meeting their target because of constraints such as delay in the release of funds, lack of personnel and the strict procurement requirements. Cited was the Department of Education (DepEd) where, for this disaster event, a total of 354 TLSs should have been constructed but only 196 were reported to have been completed while 158 have yet to be constructed. The delay was also due to non-availability of supply or coco lumbers and gravel and sand as the quarrying site was within the permanent danger zone. Tolentino said to solve the DepEd backlog on the TLS, he had requested the assistance of Armed Forces of the Philippines (AFP) Engineering unit to DepEd in fast-tracking the construction of the remaining 158 TLS within this month. The government would be spending PHP30 million for the construction of 354 TLS. DepEd statistics indicates that there are 66 schools used as evacuation centers while 91,278 school learners and 2,797 DepEd personnel are affected by the influx of thousands of evacuees. Tolentino said in his recent meeting with the President, the latter directed the National Housing Authority (NHA) to design a housing prototype to be used for the construction of a permanent relocation center when funds were available in the next budget years. Tolentino also directed the DTI, DA and LGUs to closely check the prices of basic commodities, noting that the prices of vegetables and agri products significantly increased. He directed the reactivation of the local price control council and said that if prices were found to have gone unreasonably high, a ”price freeze” should be ordered. Meanwhile, Arnel Garcia, DSWD regional director, reported that his agency had released PHP32.8 million as assistance to various local government units of Albay. He said DSWD had provided a 50,095 family food packs amounting to PHP20 million and PHP12.8 million worth of non-food items to the towns of Guinobatan, Malilipot, Bacacay, Sto Domingo, Daraga, Camalig and the cities of Tabaco, Ligao and Legazpi. DSWD had PHP62-million funds that would be used as employment assistance to 25,000 displaced families by the recent Mayon Eruption, Garcia also said. He said following the signing of a Memorandum of Agreement (MOA) with town and city mayors affected by the Mayon volcano eruption, corresponding funds would be downloaded to the LGUs once they completed the documentary requirements. The Department of Labor and Employment (DOLE) reported that after doing a profiling of households affected by the eruption, PHP30 million would fund 10,000 family beneficiaries under the emergency employment program where a member of a displaced family would receive a PHP290 daily wage for a 10-day work.